People either love or loathe leggings, especially us Mum's. If you like them and feel good in them they are a great wardrobe staple. As you will see there are lots of ways to wear them, which makes them a very versatile item of clothing. If you like to go to the gym or enjoy walking or running it is well worth investing in some activity leggings, like the ones you can buy from this retailer. These are specifically made to withstand being stretched to the limit as you exercise. They cost a bit more, but tend to last much better than a pair of ordinary leggings would if you wore them to the gym. The fact they offer a high level of gentle support means that they have other uses. 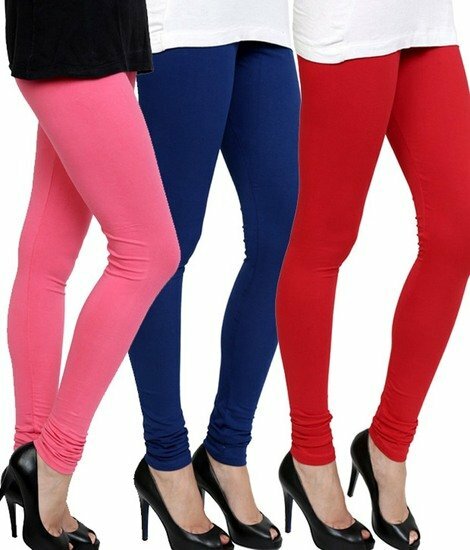 They are extremely good for wearing under jeans or other trousers as a gentle support garment. If you are feeling a little bloated they will hold your stomach in nicely without cutting in too much. For a night out, leggings are often a good option. In the colder months, the right pair can look good worn under a dress. However, they look just as good when worn with practically any type of top or blouse. If you want to create a glamorous look opt for a pair of shiny ones. There are some really good ones around that make it look like you really are wearing a pair of tailored leather trousers. However, they tend to dull quite quickly, so if you are planning a special night out buy a new pair and wear them first for that night. You can continue to wear them after that as ordinary leggings. It is just that after you have washed them a few times they will not look as shiny. You really cannot beat a pair of printed leggings. They look good whether you want to wear them with t-shirts, for walking the dog or match them with a glamorous top. Provided you choose a pair that fits in well with the rest of your wardrobe, they will prove to be a highly versatile addition to your wardrobe. There are some really nice Jacquard and Paisley prints being used for leggings, at the moment. Despite featuring a very rich pattern they still go well with most kinds of tops. Jeggings go with practically anything. They are ideal for taking on holiday because they take up far less space than a traditional pair of jeans would. You really do have to take proper care of your leggings. Because they are usually quite thin they are a bit on the delicate side. There really is nothing worse than a pair of leggings that have lost their elasticity and form. All they are fit for is the bin. Therefore, it is well worth taking the time to read this article, which quickly explains the best way to wash, dry and store your leggings. Do you like leggings or do you think they are a fashion no go? Fascinating information I haven’t been experienced such information in quite a long time Mesh Cutout Leggings.